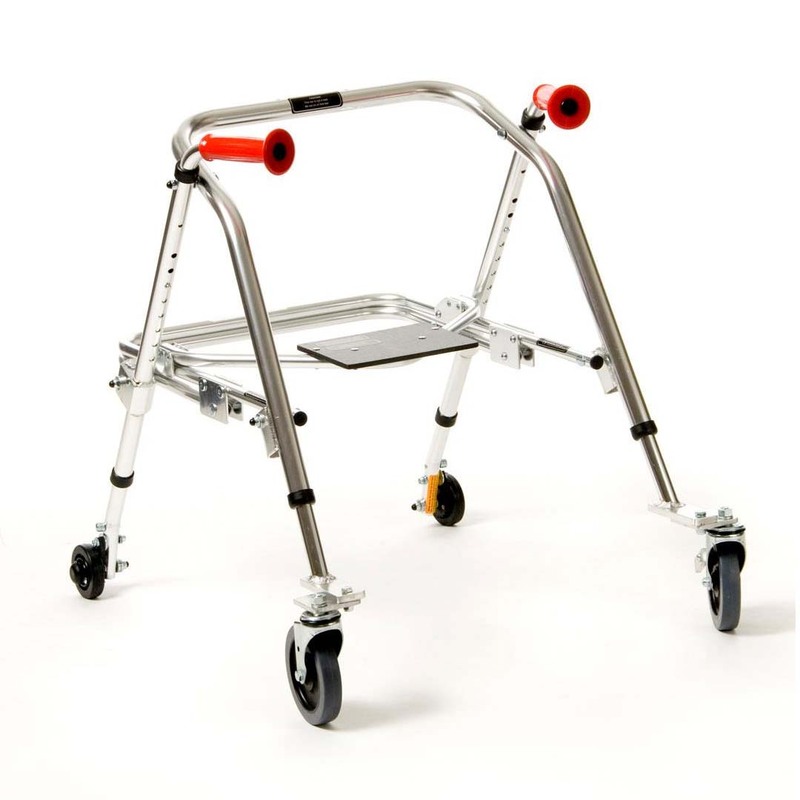 Kaye pre-adolescent posturerest walker with built-in seat has a standard fold-down seat to allow for easy transitions between walking/standing and sitting. The seat provides a simple way for children to stop and rest, conserving energy. PostureRest walkers are helpful to users who are just beginning to walk or have low endurance, needing frequent breaks. Pre-adolescent walker has crutch tips on the rear legs (2 wheeled model only). This creates greater friction against the floor so that the walker moves more slowly. This can be an advantage for users who have serious balance impairments. PostureRest Walkers easily fold for transportation and storage. Height to top of handle (floor to mid-buttocks) 25½" - 32"
Distance inside handles - depth 12"
Distance inside handles - width 19"